Emily’s dad is accused of murdering a teenage girl. Emily is sure he is innocent, but what happened that night in the woods behind their house where she used to play as a child? Determined to find out, she seeks out Damon Hillary the enigmatic boyfriend of the murdered girl. He also knows these woods. Maybe they could help each other. But he’s got secrets of his own about games that are played in the dark. A new psychological thriller from the award-winning and bestselling author of STOLEN and FLYAWAY. I'm not exactly sure what to think of The Killing Woods, it certainly wasn't what I expected. But for the most part I enjoyed it. It's engaging and suspenseful. The woods creating a perfect setting to the mystery of the story and the way it's written is atmospheric and vivid. It almost felt like the woods were a living and breathing thing. The Killing woods is told in dual perspective which worked really well, it was interesting to see one character find something out ahead of the other. Essentially our two main protagonists are trying to prove two different things. Emily is trying to prove that her father isn't responsible for the death of Ashlee Parker while Ashlee's boyfriend Damon is trying to prove that her father is so he can shut away the inner voice in his mind that says he may be responsible. But when Ashlee's father has taken the blame for a crime he believes he did due to a flashback of his army times, this proves difficult. Filled with self doubt and inner conflict Damon was a interesting character and unfortunately not one I liked. Being in his head was a weird experience. His thoughts were filled with angry emotions and raging hatred but also sexual thoughts about his dead girlfriend - a weird and somewhat disturbing combination. I didn't love Emily and to be honest I found her kind of boring, but I liked her and admired her for her strength. I felt as though her Mom was selfish and ignorant, I just wanted her to stand up and be a mother to her child. I wanted to hug Emily because sometimes she was so alone. Her best friend Jo kind of unnerved me, I don't know why. I feel like was a bit pointless. I liked that there was mystery in this novel. The big old 'Who?'. Who actually killed Ashlee Parker? If you're looking for a mysterious thriller than the Killing Woods wouldn't be my first choice. It's at times predicable and a little too convenient, I had guessed one of the main plot twits towards the end. Though at one stage I was second guessing everyone. Yet it still manages to be suspenseful, eerie and hooking. It was told slow, dreamy and little bit hazy - and I liked that. It was like a siren song. My hands were constantly turning pages and I didn't want to put it down. Even though I'm rating this a 3, I enjoyed it. Overall I did have problems with The Killing Woods, and if your looking for a dark thriller, you may be disappointed. But despite my issues with it, it's still an enjoyable read. Scarlett Martin has grown up in a most unusual way. Her family owns the Hopewell, a small Art Deco hotel in the heart of New York City. When each of the Martins turns fifteen, they are expected to take over the care of a suite. For Scarlett's fifteenth birthday, she gets both a room called the Empire Suite and a permanent guest named Mrs. Amberson. Scarlett doesn't quite know what to make of this C-list starlet and world traveler. And when she meets Eric, an astonishingly gorgeous actor who has just moved to the city, her summer takes a second unexpected turn. Before the summer is over, Scarlett will have to survive a whirlwind of thievery and romantic missteps. But in the city where anything can happen, she just might be able to pull it off. Suite Scarlett was a fun and refreshing read, a great break from some of the heavier YA novels. Suite Scarlett is about Scarlett Martin who lives in a run down hotel in New York. The story starts on Scarlett's fifteenth birthday, where tradition is each Martin family member is given a key to a suite which they are now in charge of. On this day Scarlett's parents tell Scarlett and her siblings older brother and sister and a little sister) that they are broke and currently have no staff. Scarlett's friends out working for college applications and she too was hoping to get a job. But with this bad news it mean she'll have to work at the hotel to try and help keep things running. Scarlett is feeling pretty alone and down until the arrival of Mrs Amberson brings an unexpected twist to Scarlett's summer. Mrs Amberson moves into The Empire Suite, the suite Scarlett is given. Mrs Amberson is rich, eccentric, random and mysterious and takes a great deal of interest in Scarlett, then appointing her as her very own assistant. I really liked Mrs Amberson as a character and how she livened things up a bit. She was a little crazy but a very interesting character! I really liked seeing the bond she shared with Scarlett develop. I liked how she would always call Scarlett 'O'Hara'. Scarlett was a likable protagonist but I felt as though she should have been older than 15, I think 16 would have suited her better. One of the best things about Suite Scarlett was all of the relationships. I loved the strong bond that Scarlett shared with her eldest sibling, Spencer. Spencer was an aspiring actor and he was one of those funny, comedic type older brothers. He and Scarlett are so close and I just don't know how to explain how much I appreciated their bond. I loved Spencer, he would have to be my favourite character of the book! He was such a good brother. It was also very interesting to see Scarlett's relationship with her younger sister, Marlene. Marlene is a cancer surviour and isn't very fond of Scarlett. To give you an idea of their relationship, she gave Scarlett an expired Ice Cream Coupon for her birthday. Scarlett's relationship with her older sister Lola was explored but I would loved to have known a bit more about Lola. New York, Hopewell Hotel was such a fun and interesting setting. It was cool to see the down sides and the plus sides to living in a hotel. I didn't adore the romance part of the book because I was more about the Spencer and Scarlett family bonding. But I did like it, it was cute. I just wished Scarlett would get her act together sometimes. Suite Scarlett is a very engaging and charming book, there is something so fresh and fun about it. I loved the plot and how so much was going on, it also paved a nice path for book two. It was my first Maureen Johnson book and I'm really hoping to continue with book two, Scarlett Fever. Great double reviews, Sunny! :) I read Stolen by Lucy Christopher and it was really good but I wasn't blown away, but I'm still interested to read The Killing Woods. Shame it didn't reach your expecations but I'm glad you enjoyed it. And Maureen Johnson - yay :D I've only read Let it Snow by her but I love her on Twitter and her work with the Vlog Brothers. I have The Name of the Star on my TBR pile so I need to get round to that one too as well as Suite Scarlett. Hi Zoe (or should I say Dumbledore? ).This was actually my first Lucy Christopher and Maureen Johnson book. I've heard great things about Stolen and Flyaway. 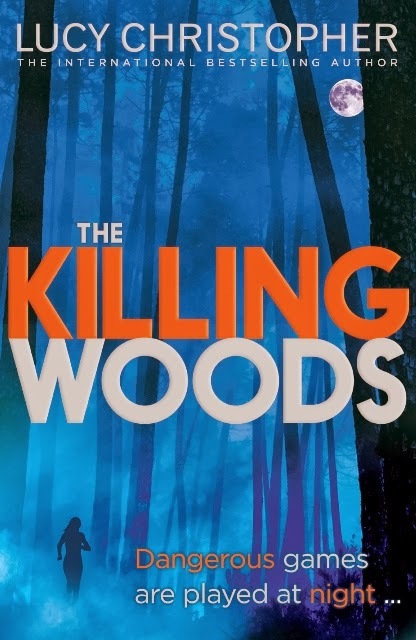 It was a bit of a shame that I found so many problems with The Killing Woods but I still enjoyed it. Suite Scarlett was super fun, I'm sure you'll enjoy her work. Great reviews! I have heard quite a lot about The Killing Woods but I don't think its that high on my priority list. Many bloggers have said it' good but I'm not in that mystery sort of mood. Fab reviews, Sunny :D Seen quite a few reviews of The Killing Woods that are kinda putting me off. It's great that it managed to be eerie and creepy even though it didn't turn out like you thought it would. I've just recently visited New York and now anything set there is so vivid in my head, sounds like Suite Scarlett has a lovely setting with great relationships. I've read Killing Woods and eh, it was dark and atmospheric but as you said, a little TOO inconvenient with unlikable characters. Ah well. Lovely reviews Sunny! I'm reading The Killing Woods and I'm quite enjoying so far. I do agree that Damon is quite hard to like because of his crazy mindset. He is just constantly all over the place... and well angry. 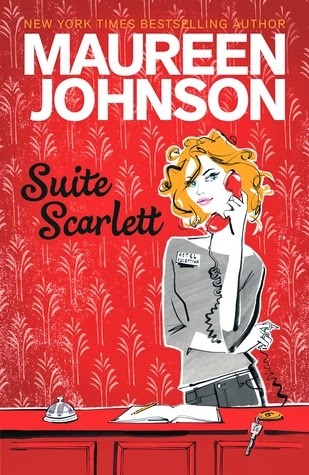 I read one Johnson book before and it didn't really blow me away, but Suite Scarlett looks fun. Great reviews!